Blood pressure equipment or blood pressure machines are essentially important for monitoring blood pressure at home or at the doctor's office. Hypertension management through monitoring is therefore critical to successful treatment. The word sphygmomanometer is understandably not so easy to pronounce. In short sphygmomanometers are also known as manometers. 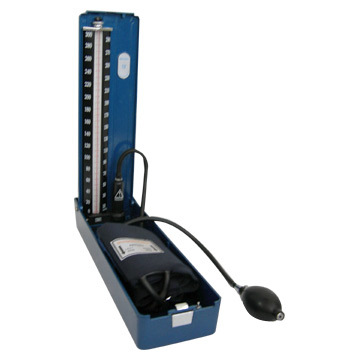 The automatic or electronic manometer is by far the most used today across all sectors of society. It is by far a less manual piece of blood pressure equipment performing automatic functions such as automatic cuff inflation. It also does other sophisticated functions that the other traditional two manometers can not do such as irregular heartbeat detection as well as morning hypertension detection. These two functions are extremely important in modern day hypertension management and hypertension treatment. This information is used by medical professionals together with hypertension symptoms to better deal with the disease and better understand the causes of high blood pressure in a particular patient. Leading blood pressure machines suppliers would include the Omron blood pressure monitors series, Samsung monitors, Relion, Sunbeam, Panasonic and many others which are all Omron blood pressure monitors. 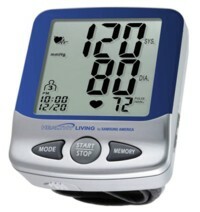 Automatic digital sphygmomanometers use batteries and rather sophisticated software and have to meet internationally recognised and respected hypertension measurement validation protocols such those provided by the British Hypertension Society (BHS), the European Society for Hypertension (ESH) and the Association of Medical Instrumentation (AAMI). These organisations also issue very important hypertension guidelines on a regular basis. Automatic blood pressure equipment available today is portable, user friendly and digitally minimises errors. It is very popular with a modern generation of high blood pressure patients. 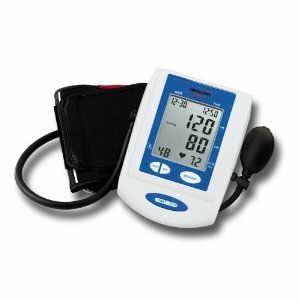 For example in 2009 Omron Healthcare co. Ltd the manufacturers of the Omron brand of digital blood pressure machines celebrated a new 100 million milestone of monitors sold since 1973 when the first digital monitor arrived on the market. 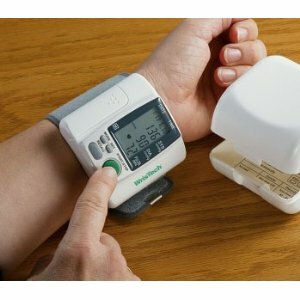 Digital blood pressure cuffs come in sizes that fit a whole spectrum of patient population in an effort to increase user comfort and eliminate reading errors associated with improperly fitting cuffs. Cuff sizes range from regular which is between 9" and 13" and large sized ranging between 13" and 17". 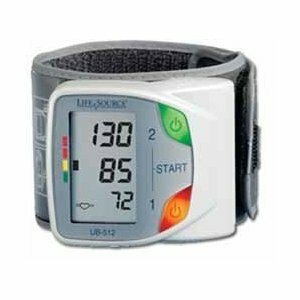 Automatic sphygmomanometers not only include arm cuffs but also wrist cuffs and finger blood pressure monitors. Despite all the technology surrounding the electronic blood pressure equipment widely available on the market today, errors still occur in the reading and measurement of blood pressure. These digital sphymomanometers still depend, at least at manufacture stage, on old fashioned mercury sphygmomanometers for calibration and validations which is absolutely essential for any accurate and meaningful readings. Correct readings determine what hypertension medications will be prescribed to patients. Incorrect readings will clearly spell disaster. The electronic blood pressure machines are generally expensive and are in the range of $50 to $150 per unit on leading stores such as Amazon and Drugstore. Relatively widely used but certainly without matching the automatic manometer provides accurate measurements if properly calibrated. This blood pressure machine consists of a metal bellows. It expands on account of increased pressure in the cuff. It has an amplifier, mechanical in nature, that transmits this expansion effect through a lever to the indicator needle. 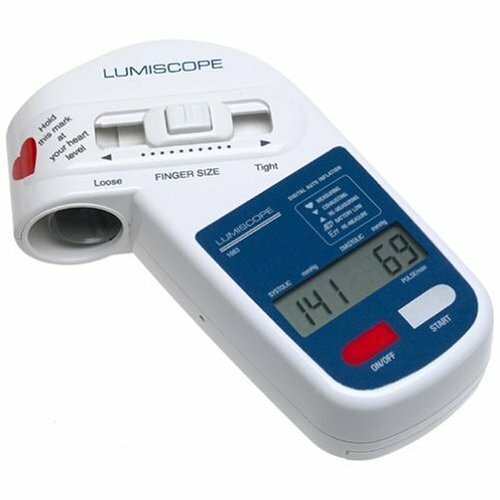 The indicator needle gives readings to the user by rotating around a circular calibrated scale. Aneroid sphygmomanometers have an unusually big deal of maintenance required to get them running efficiently and effectively with desired results. This maintenance will include checks of possible decalibration every 6 months to a year due to poor handling which affects accuracy of readings. A single bump may require recalibration. When in use the needle should rest at the zero point before the cuff is inflated. It must return to the same zero reading when the inflation and deflation cycle is completed. 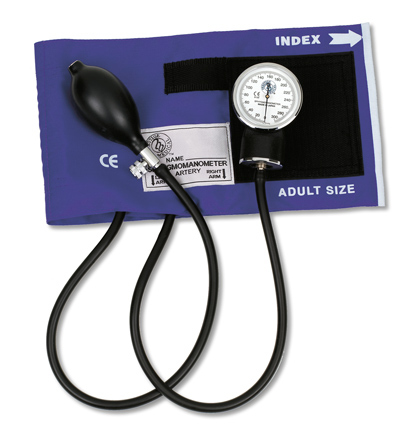 Calibration of the aneroid blood pressure equipment is to be done when its readings differ by more than 4mm Hg against the standard mercury sphymomanometer. Productions of the aneroid blood pressure machines in recent years has seen added improvements especially around shock resistance which is crucial for accuracy. The aneroid blood pressure equipment is not anything today's convenience conscious market would comfortably settle for. The pharmaceutical and medical equipment manufacturers of today do not seem interested in it neither. The mother of hypertension and blood pressure equipment, the mercury manometer is depended upon by the above two blood pressure machines for accuracy and calibration. It has been a gold standard for indirect measurement of blood pressure for over a century. 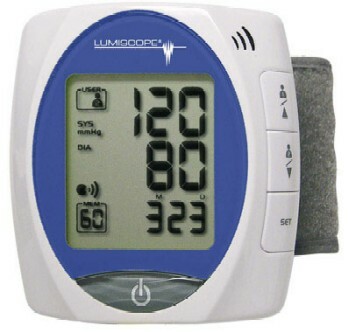 The mercury blood pressure monitor boasts of infrequent need of repair. However, it clearly has fallen victim in recent years to constant concerns of safety of mercury as well as regulations of use of mercury in workplaces and an attempt to eliminate human error in reading of measurements. This has resulted in it being overtaken by automatic electronic digital blood pressure machines. From a health perspective mercury is highly poisonous and toxic when spilled. This can happen if the barometer or thermometer drops or breaks. This makes it extremely unpopular for home use for example. A gap that has evidently been filled by automatic manometers. Mercury blood pressure equipment pose a very difficult challenge relating to human error in the hearing and recording of the Korotkoff sounds (sounds heard through the stethoscope named after their discoverer). Hearing impairment and digit preference are immediate two major concerns that make them less desirable amongst today's users. Without doubt digital automatic blood pressure machines are not the ultimate when it comes to dealing with human error. New does not necessarily translate to better. Each of the three blood pressure machines considered here clearly have own strong and weak points. Certainly the other two namely automatic and aneroid still rely on the mercury manometer for consistent accuracy, validation and calibration. Obviously were hospitals, clinics and other medical institutions use aneroid or automatic blood pressure machines, it's incumbent upon them to ensure the instruments are validated through AAMI, BHS or EHS or whichever institution might be relevant in their own sphere.